Nintendo is responsible for some of the most iconic gaming systems of all time, but one of its most technically humble seems to be undergoing something of a resurgence at present. The monochrome Game Boy may not have the visual impact of the SNES or N64, but its portable nature arguably lends a more tactile nostalgic experience, and its status as something of a design classic cannot be debated. As a result, we've seen a very active modding community grow up around the console as veterans look to improve the hardware with back-lights and other enhancements, while newcomers find out for themselves what all the fuss was about. Regardless of how you become a Game Boy fan, one thing is certain: you'll end up falling in love with those diminutive grey cartridges. 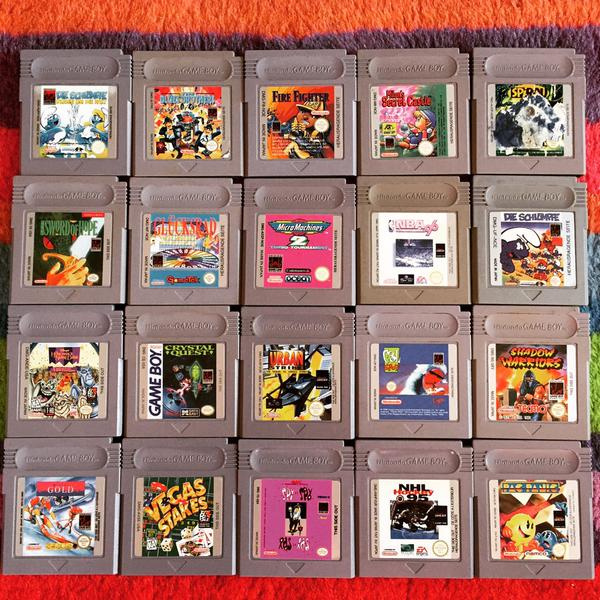 UK-based Dave Higgins is old enough to remember the initial release of Gunpei Yokoi's legendary system, and was recently bitten by the Game Boy bug, making it his own personal mission to collect every single PAL / Euro Game Boy release - 467 games in total. His quest recently completed, Higgins was kind enough to chat with us about the experience. 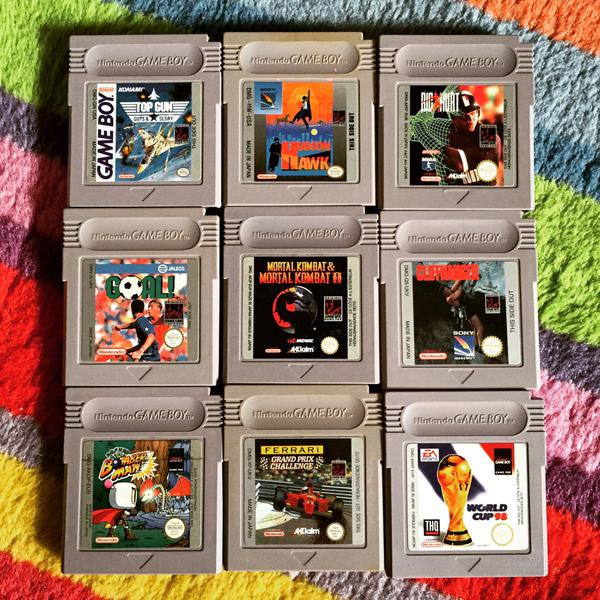 Nintendo Life: What made you want to collect every single PAL Game Boy game? Dave Higgins: At first, I had no intention of collecting. I was given a complete-in-box Game Boy Color a while ago, and I fished it off my shelf and bought a Tetris cart just to play in a high score competition. Then someone on an arcade forum was selling a big bundle of games at a bargain price, so I grabbed them too. 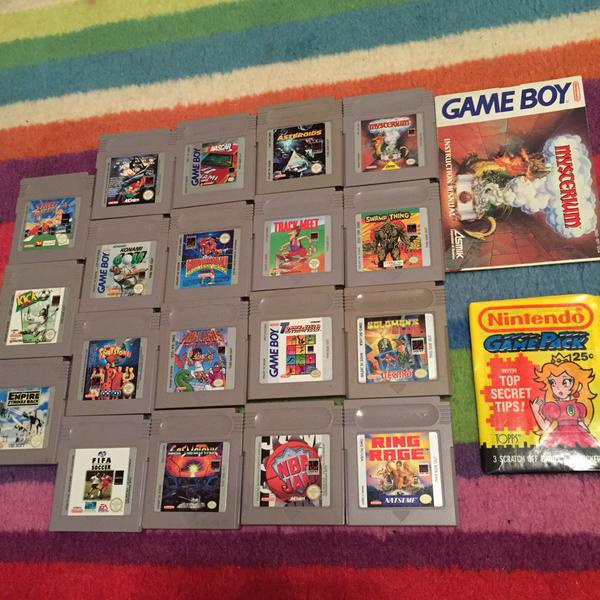 Then I saw a few bundles on eBay, got a few different Game Boy consoles from those, and it snowballed from there. Once I got to about 150 games and started tracking them in Retrocollect's database, I had to face up to reality and admit that I was probably more of a collector than a player. Then I got chatting with Mat and Stew on Twitter, started looking at traders and online stores across Europe, and decided a full set was the only way this could end. What makes the Game Boy so special to you personally? I remember being at school, and someone bringing in a grey imported Game Boy, as they hadn't been released in the UK at that point. It was the most amazing thing I'd ever seen, and I desperately wanted one, but couldn't afford one. I finally got one when I won a local SNES Street Fighter II competition, and my prize was a brand new DMG-01, which got played to death. 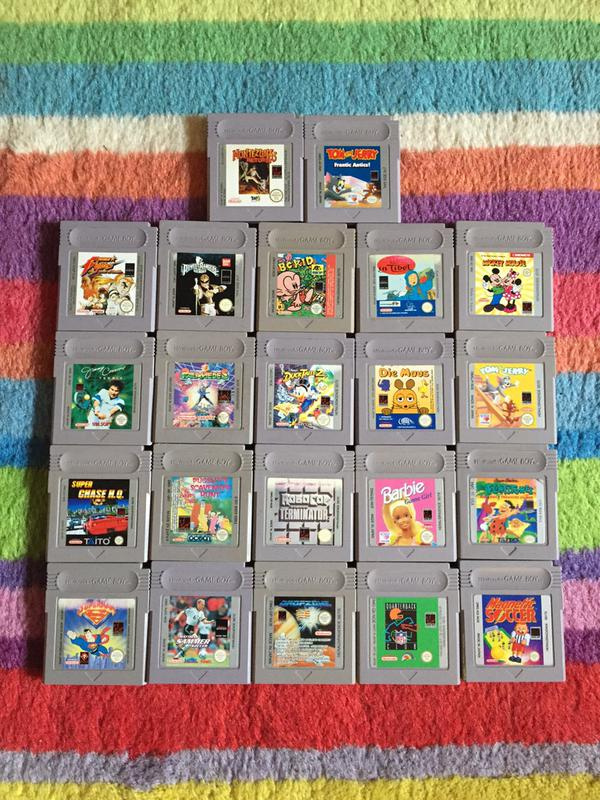 So going from a situation where as a kid I couldn't afford a Game Boy and had very few games to owning about 20 different Game Boy consoles and every game released in my region is a very personal triumph. How long has it taken to collect all of these games, roughly? I can do better than roughly! From 21st May 2014 when I got that first bundle of 23 games until 3rd August 2015 when I purchased the last cart, Lingo - so that's 439 days. For the real number nerds, that's an average of 1.064 games per day! Have you been going for fully boxed or cart-only copies? Cart only. I started out just getting games to play, so I didn't see the point of paying the premium for CIB games - and I still don't. But I do have a few CIB games from some extremely fortunate sight-unseen purchases! Is every single cart in your collection PAL? Are there any exceptions? Nope - I've got PAL versions wherever possible, but I've got several US and Japanese carts, and I refuse to spend stupid prices on things like Hammerin' Harry and Pop'n Twinbee when Japanese versions can be had for a fraction of the PAL price. Japanese carts generally have better artwork too, but Brainbender had to be the PAL version - that's quite clearly Warwick Davis on the label! What's the next project? Do you have any plans to collect the North American and Japanese games? 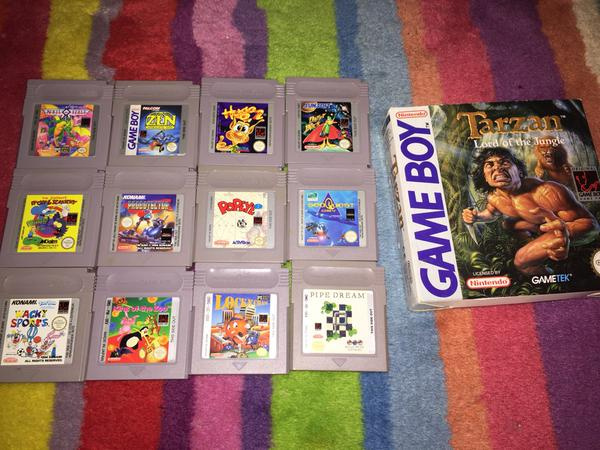 Or perhaps move onto GBC or GBA? I don't really know what to do next - I hadn't thought much beyond finishing the DMG set. I've already got a decent handful of Game Boy Color carts from the various bundles I've picked up over time, so maybe that's the way to go. I'm putting off the Game Boy Advance stuff because of the huge amount of shovelware on the system, and the difficulty in getting the little plastic cases to put carts in. Thanks to Dave Higgins for taking the time to speak to us. You can follow his exploits on Twitter and Instagram. After seeing his thoughts on GBA, I guess he'll never even touch on DS. Why have we not got some more GB games on virtual console. 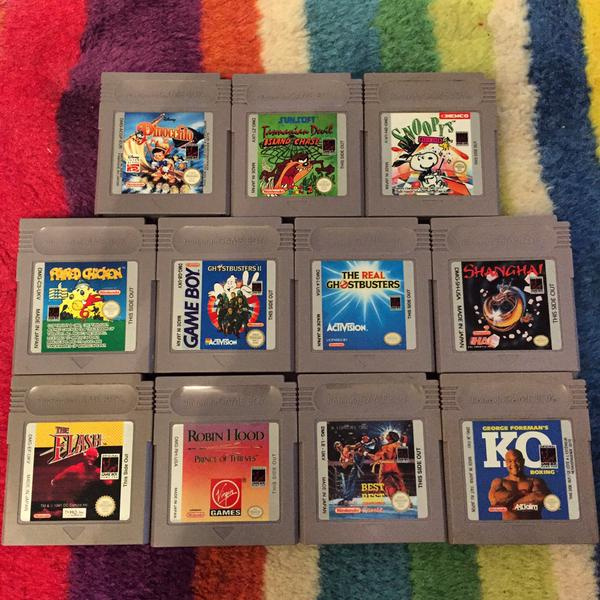 Speaking of Game Boy, I just bought all 6 main Game Boy Pokemon games on eBay yesterday. I spent an exorbitant amount of money for them, but they're quite a collection piece! 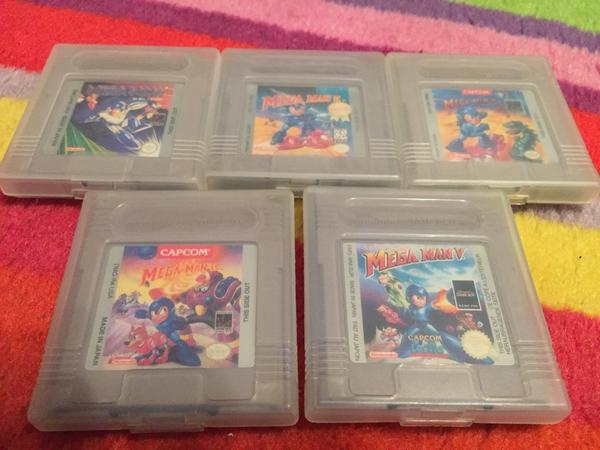 Can't say I'm not a little bit jealous seeing all those Gameboy cartridges together. Got so many good memories from playing on that device. 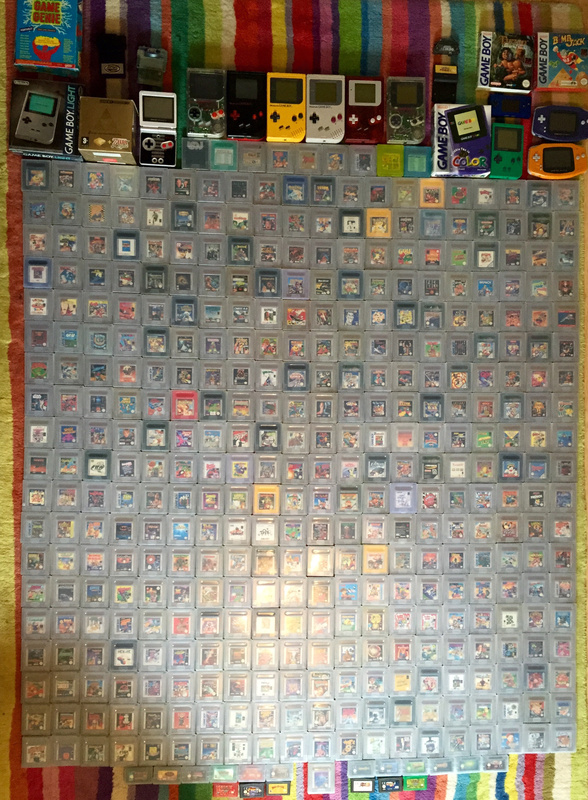 My Game Boy collection is over 100 strong at the moment including over 20 in box. An incredible machine with an incredible history that deserves all the love. @ValiantPixel they go for crazy money at the moment don't they!? Anyone would think they were rare. @playoldgames Very good point! Maybe a complete NGPC collection next? @HandheldGuru97 Very jealous of your Survival Kids. Great collection. He already answered my question about Hammerin' Harry. 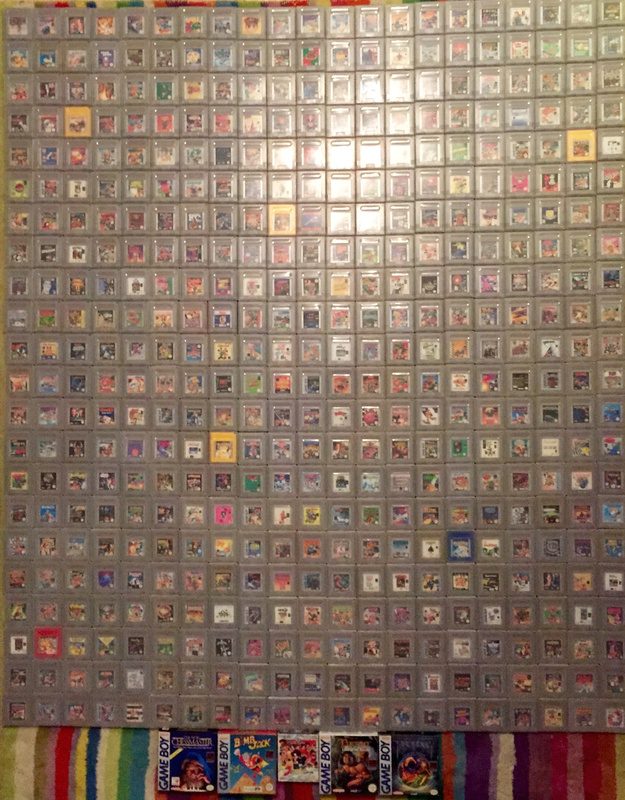 There are more than 467 different "PAL" Game Boy titles. 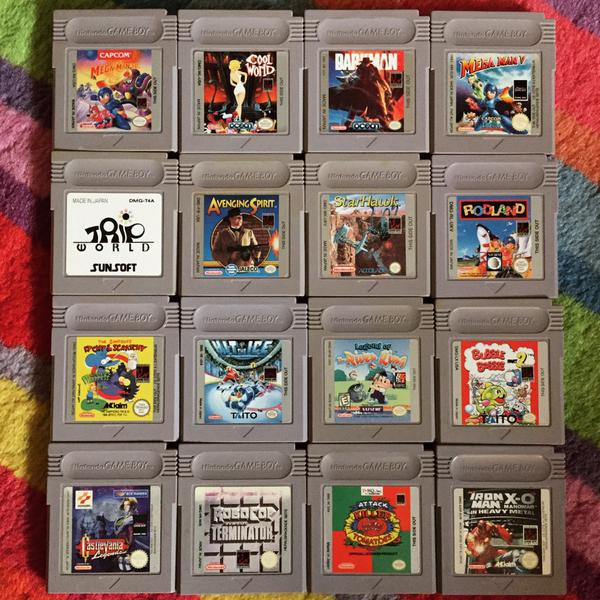 Also, some of those non-European carts have in-game differences that go beyond the title screen or language. And some games on those pics have actually never been released in PAL land! Anyway, I wouldn't say your quest is over but that is one great collection for sure! I have 492 GB & GBC games, as well as 605 GBA games in my collection. Several are cart only, but I do have a good amount of complete in box however. Always loved the GB, always will. I could never go for a 'complete' set for a console, there's too many games I don't care about. But it's a damn cool collection. Personally I'm working towards assembling the best Wii collection that I can with all the games I find neat, fun and interesting. Mostly European, but with some JP and US imports. Got Zangeki no REGINLEIV, Earth Seeker, and Captain Rainbow on the way from Japan, which just leaves Project Zero 4 currently. Yet to order any US games for it, but Fishing Resort, Excite Bots and Kirby's Dream Collection are likely targets. Hats off to this dude. Yeah, GBA would be...a task. Way more games, most of which are awful movie tie-ins. It's a shame that Nintendo didn't use plastic boxes, some of the cover art is pretty cool. @KnightRider666 Wow, so what about consoles? Do you have a crazy amount of say, N64 game? 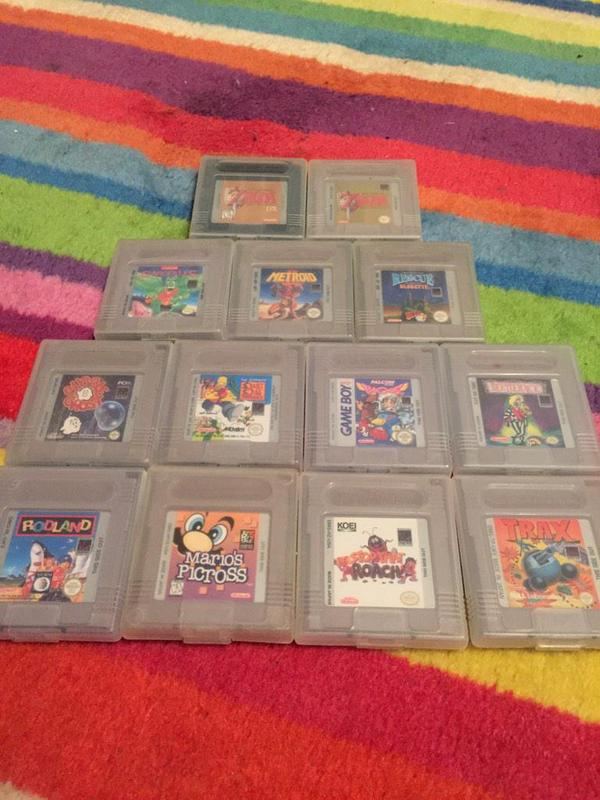 Then two years ago I found an old box of NES carts in my wife's old house closet and Got a a NES for cheap on eBay. I've been collecting all the consoles I had when I was a kid and the games i really liked most. And the games that were my absolute favorite in Boxes. It's fun to display. and of course play. Nice collection. Question is - have you played them all? Yep, some of the carts in the group shots are non-PAL. That's because they're pics of bundles taken as I picked them up. 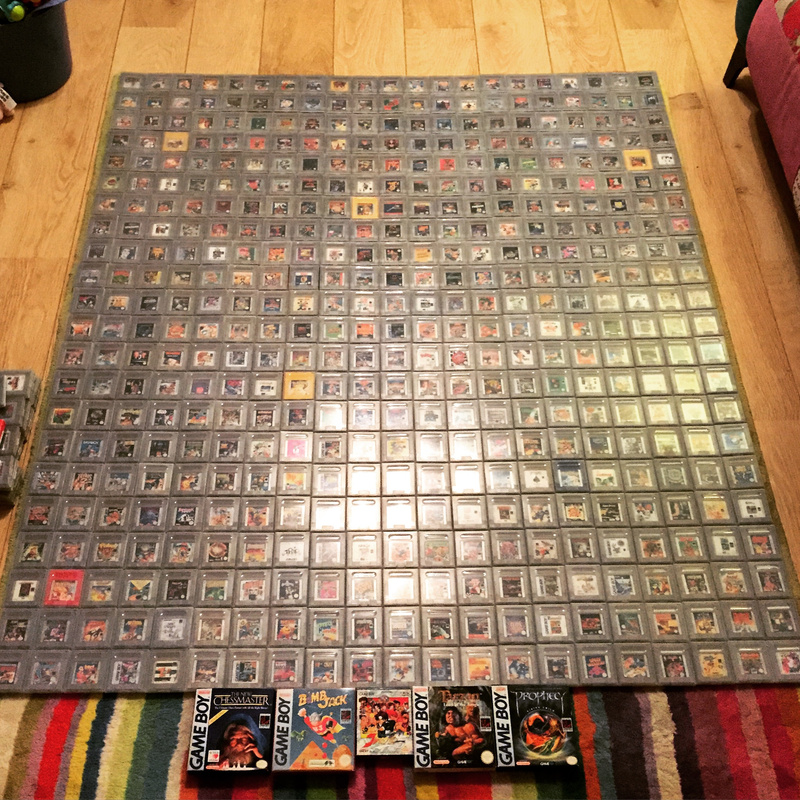 The big group shot is all 467 PAL releases, with my non-PAL stuff in a pile of about 40 carts on the left. @EllenJMiller Believe me when I say I had no intention of collecting a full set at first. And it really hurt paying for rubbish like Iron Man / XO Manowar just to fill in gaps! @playoldgames My secret technique to resist that is that I collect for 11 different systems at the moment, so money that might be used to pick up dross like the Imagine games can instead go towards picking up things that fit the 'good/interesting/weird' rules of acquisition. The RetroCollect database is missing dozens of titles, mostly all the localized versions which sometimes have different title graphics, licensed characters, sprites, even slight gameplay tweaks… The European set would not be complete without them (according to my rules, of course), as all those variations are what make it so interesting to begin with!